You've probably seen a short video of an elegantly dressed Black woman playing two pianos at once on social media. 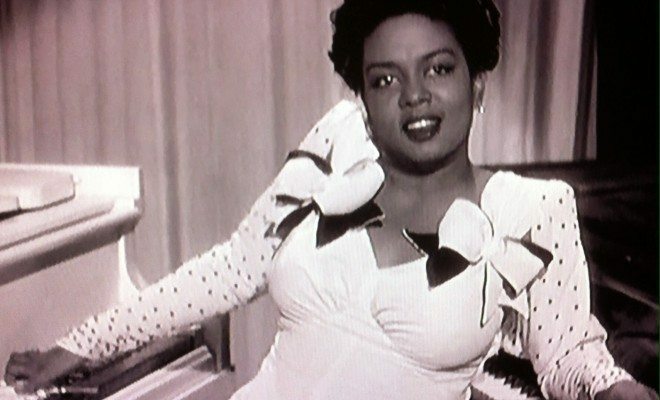 That woman was Hazel Scott. Scott was a piano prodigy born in Trinidad 1920. She and her family immigrated to the United States when she was four. By that time, she was already a gifted musician. So gifted, in fact, that she was admitted to Julliard at just eight years old. In the 30s and 40s, Scott became a hugely successful performer in radio and movies. But her career came to a halt when she took a stand against the stereotypical costuming of Black women on the set of a film. Scott continued to defy stereotypes when she became the first Black woman to have her own television show on the now-defunct DuMont Television Network in July 1950. Her show was canceled when she spoke out against the House Un-American Activities Committee. Like many Black performers before her, she moved to Europe to continue her career. There she befriended the likes of James Baldwin. Scott married famed activist Adam Clayton Powell II and had a son.